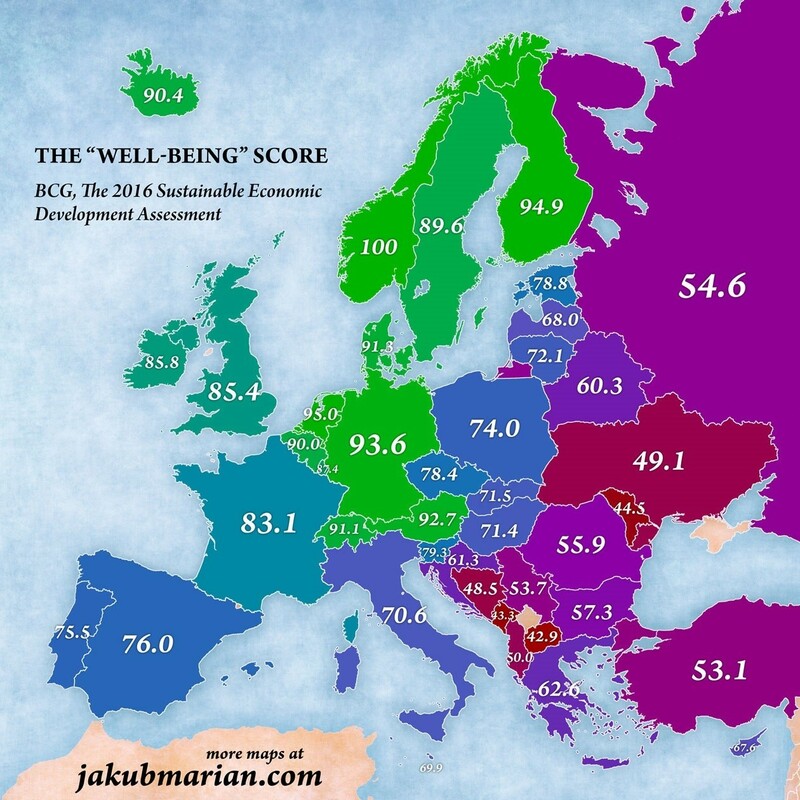 What makes people happy in Europe? The people of Norway have a lot to be happy about. The country tops the table behind a new map showing the best European countries in which to live.